According to today’s blogger Greg McCann, students who are members of family enterprises, whether or not they have worked or will work in the business, should have at least a basic grounding in how family firms operate. For the professional family enterprise advisors, college and university family business programs can be valuable educational tools for themselves and their clients. 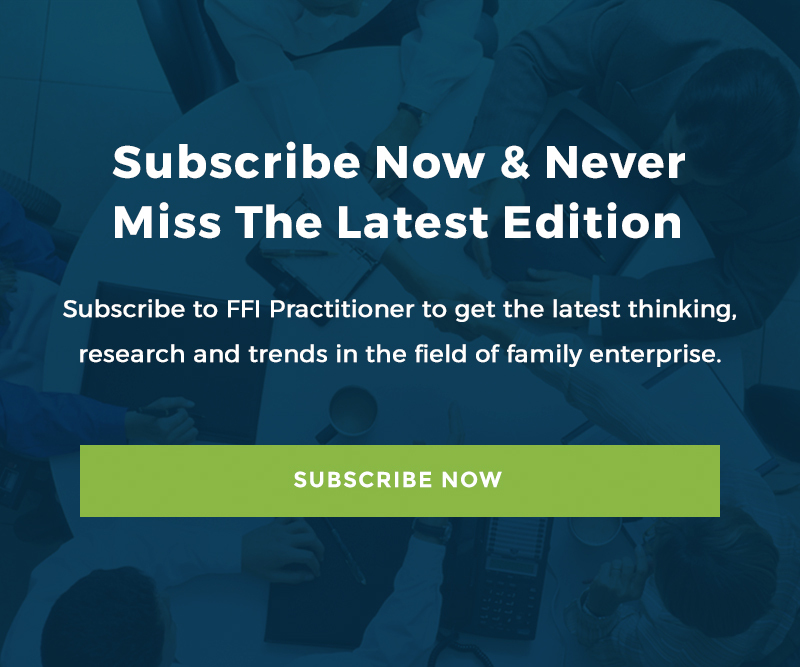 In the last two decades, family enterprise has blossomed from a little known field of study in the classroom to one that a rapidly growing number of business schools consider a crucial addition to their curricula. Family business programs are vital and dynamic, and the area of study is buzzing with innovation. Consider the work being done as such schools as Stetson University, Loyola of Chicago, and University of St. Thomas in Minnesota. As reported by USA Today (College courses enlighten family businesses, Feb. 25, 2013), 77% of new US businesses start as family businesses, and family-owned businesses account for 40% to 90% of the world’s economy. Thus many colleges and universities agree that family enterprise deserves its own place in the academic spotlight. Many of these courses are housed in family business or family enterprise centers that also provide outreach programs such as conferences, seminars and libraries as well as research programs that deal with everything from case studies on individual families to best practices for practitioners. The students in these programs represent the next generation of family business owners. Their career decisions will begin with “When, how and why do I work with my family?” and progress toward developing a long-term perspective that will help them manage their roles as employee/leader and owner/heir—while still remaining an integral member of the family. Shouldn’t a four-year education that might cost a few hundred thousand dollars address these issues? Even members of the next generation who decide to start their careers outside the family business or who aren’t a part of a family firm need to feel credible and be marketable. To the latter goal, graduates with an understanding of family enterprise make better accountants, financial analysts, and business professionals than those who don’t. Courses for all students will need to help them to be more marketable in serving this important and large segment of their client base. Can you learn how family dynamics can hinder or help management (do we have a family employment policy), governance (a shareholders agreement) and the family (a family council). Imagine integrating the family dynamics into all aspects of a business education. Today’s astute consultants and other professionals realize their practice, and their ability to serve their clients, depends on a firm grasp on family business. What better way to show an understanding of this engine that drives the U.S. and world economy than to demonstrate a competency in family business? Greg McCann is a professor of family enterprise at Stetson University and founder/director of Stetson’s Family Enterprise Center. He is also the founder of the consulting firm McCann & Associates (www.mccannfbconsulting.com). An FFI Fellow, he served on the board of directors from 2005-2008. Stay tune next week for another issue of The Practitioner.